The Papua New Guinea Defence Force is willing and ready to deploy more officers for UN Peacekeeping missions to other parts of the world. Commander of the PNGDF, Brigadier General Francis Agwi made this known when farewelling Major Kingsley Wowoda who is being deployed for UN Peacekeeping Mission duties in Darfur, Sudan. Agwi also expressed satisfaction that the PNGDF troops deployed for RAMSI operations in the Solomon Islands had been doing well. He said as the Force moves forward in taking part in UN Peace Keeping Missions, a PNGDF National Command Team will be established to operate at UN Peacekeeping Operations Centers. Commander Agwi said there are other bilateral countries like Malaysia, Australia, New Zealand and United States willing to assist PNGDF deploy its troops to UN Peacekeeping Missions. Commander Agwi also urged Colonel Wowoda to be a good ambassador of the PNGDF and the country while serving in Sudan. 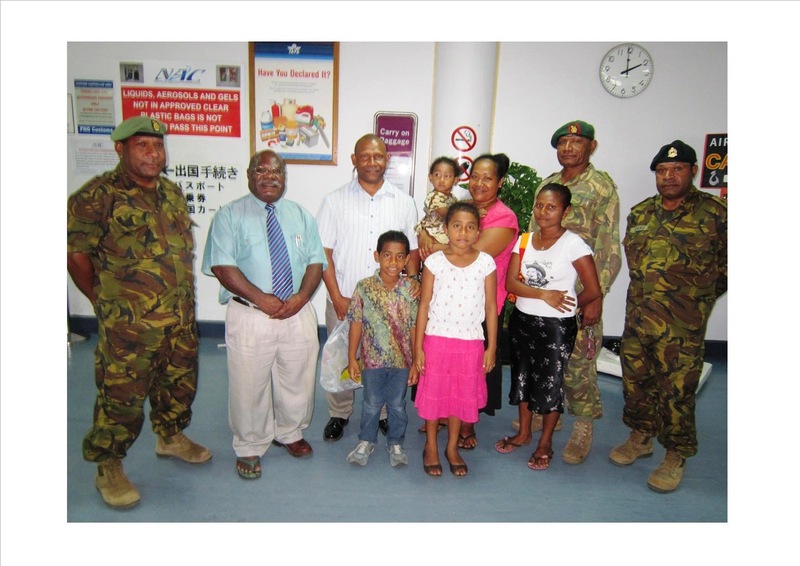 He reminded him to keep in constant contact with his family and the PNGDF while serving. Major Wowoda in return thanked his Commander and promised to maintain high standards while deployed. “I know that PNGDF has been performing extremely well in UN Peacekeeping Missions in Sudan and I promise to keep the standards high. I am also looking forward for challenges coming ahead,” Major Wowoda said. Major Wowoda is replacing Major Bruno Nalau who had successfully completed his tour of duty in Sudan and is expected to arrive in the country today.